Pensychnant aims to be a hub of an active community of naturalists, recording or wildlife and sharing their knowledge and enthusiasm with others. We know frighteningly little about our wildlife; what occurs where. Yet this knowledge is the foundation of all conservation efforts. We cannot conserve wildlife if we do not know and understand what is there to be conserved. By working with local naturalists and encouraging more, Pensychnant aims to contribute to conservation both in this very special corner of Wales and more widely. With this aim, many of Pensychnant’s events focus on natural history and wildlife recording. Pensychnant aims to contribute to the work of the many recording societies in Britain and to the database of the North Wales Records Centre, Cofnod., so that the wildlife observations that for most of us are just a hobby, can be put to good use for nature conservation. Pensychnant takes an inordinate interest in moths. 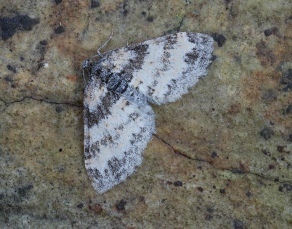 Two North Wales endemics, Ashworth’s Rustic and Weaver’s Wave occur here, and with this legacy Pensychnant perhaps has the best recorded moth history in North Wales (certainly one of the longest). Moth events are an excellent introduction to the wonders of nature and always enjoyed by adults and children alike.